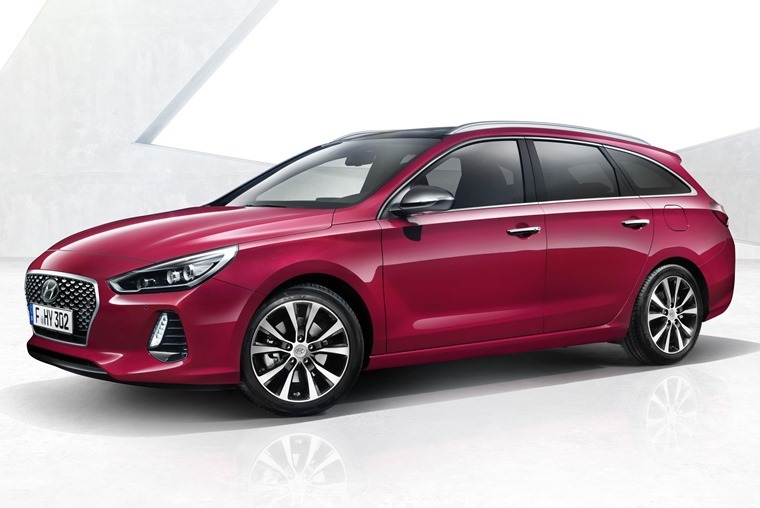 Hyundai has revealed details of its practical i30 Tourer that will be available from next month. This new estate variant features a much more practical boot than the recently launched i30 hatch, and improves on the outgoing Tourer thanks to a raft of updates. 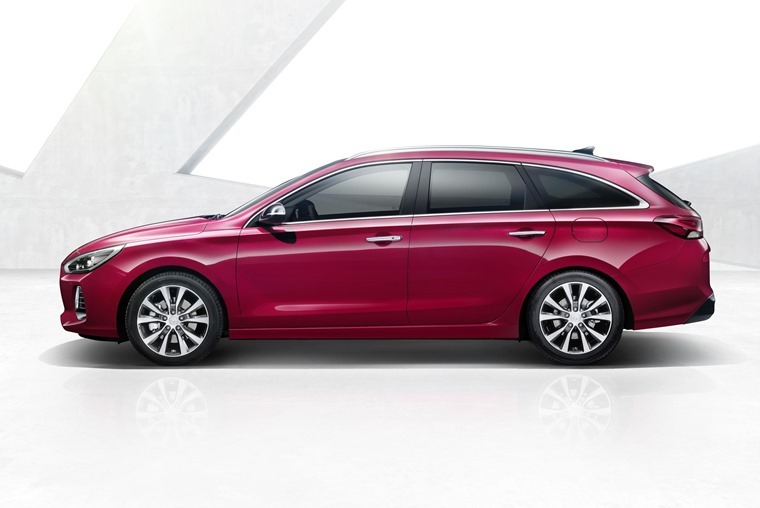 The Tourer gets the same sharp look as the hatchback at the front, with vertical LED daytime running lights – a giveaway fact that it’s part of Hyundai’s latest range. A sloping roofline gives away the car’s load-lugging capabilities, with a tapered rear-end that gets similar looks to the larger i40 Tourer. 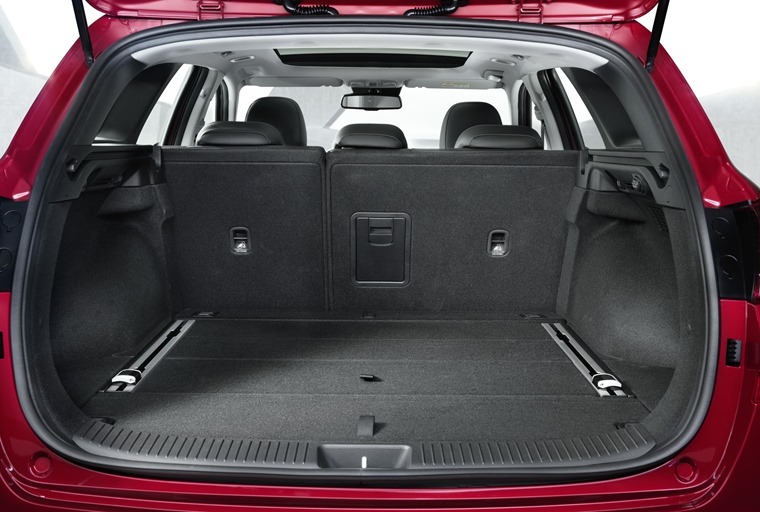 What people care about in an estate however, is luggage capacity, and it’s good news on that front; 602 litres of boot space gives the Tourer gets a significant boost over the outgoing models’s 528, and makes it one of the roomiest cars in its class. “The new generation Tourer speaks the language of the i30 family in terms of design, and it carries the new Hyundai family identity - the cascading grille,” explains Thomas Bürkle, chief designer at Hyundai Design Centre Europe. 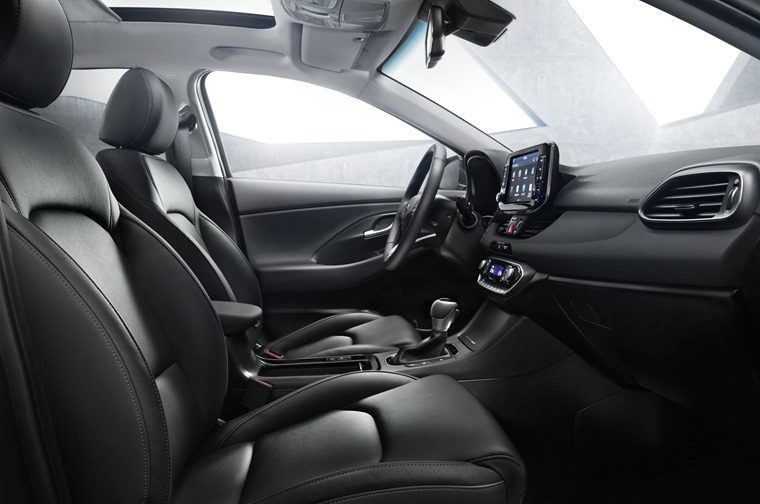 The interior is unchanged from the hatchback, featuring Hyundai’s latest 8in touchscreen infotainment system that’s compatible with Apple CarPlay, Android Auto and LIVE services. The options list also includes handy features such as a wireless charging system, too. A range of trim levels are on offer, ranging from the entry-level S to the SE Premium, which gets the likes of dual-zone climate control, heated front seats and a rear parking assist system. Hyundai has also prioritised safety with the new i30 range, and as such the Tourer comes with several of the latest systems. These include a Blind Spot Detector, Rear-Cross Traffic Alert, Lane Keeping Assist and a new, more advanced Adaptive Cruise Control. The engine line-up consists of the same two petrols and one diesel that the hatchback gets. Things kick off with a 1.0-litre petrol that produces 118bhp, while a 1.4-litre option produces 139bhp. The diesel is a 1.6-litre unit that’s capable of up to 74mpg and produces 135bhp. It’s also available with a 7-speed automatic transmission, as is the larger petrol engine, but the standard option is a six-speed manual across the range. Petrols kick off with a 118bhp 1.0-litre, while a 138bhp 1.4-litre engine is the more potent offering. Both get turbochargers to maximise performance and economy. If you’re after a diesel, a 1.6-litre unit is available with 108bhp, too. The i30 Tourer will be in showrooms from 6 July, with lease prices available at the same time. if you can’t wait until then, you can check out the very best lease deals on the current Hyundai i30 Tourer here.